I’m home with a virus today and noticed bugs crawling around my back door. 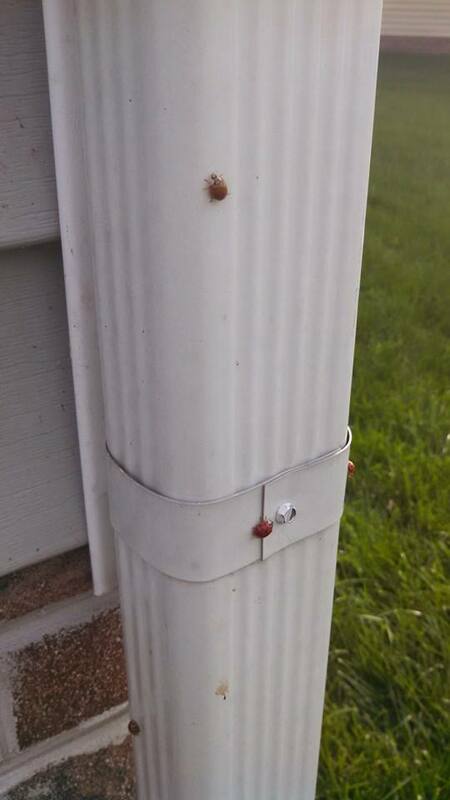 Upon closer inspection, they turned out to be lady bugs. 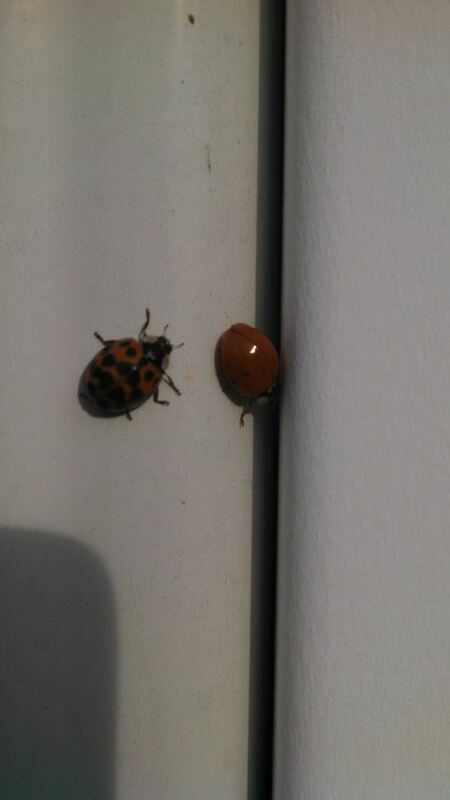 I opened the door and found the outside of the house swarming with lady bugs of all colors – yellow, brown, orange and red. Some with spots, and some with no spots. I don’t know why they chose today to attack the house, but it may have to do with the beautiful warm sunshine. Since I was outdoors, I figured a few minutes in the sun might help kill some germs so I did a few minutes of garden maintenance. My husband picked some tomatoes and peppers while I pulled up the frost-killed marigolds, zinnias, and beans. I also took down the trellis and stored it in the garage for next season. There’s still some work to do out there, but there’s no rush to pull up the rest. It is interesting to note that the straw flowers, calendula and onions are still thriving. I will remember that for next year. There are still tomatoes ripening on the vine, so I left the plants and cages intact. At some point I need to pull the dahlias, but first I need to look up how to store the tubers. I look forward to next year’s garden already.